This is the work of a man named Victor. Victor’s proud fellow RALPHS workers call him The Produce Artist. That’s when I took a good look and saw how beautifully they were laid out. They weren’t stacked. They were carefully blocked. I took out my camera (the SmartPhone I was testing) — and took a photo. 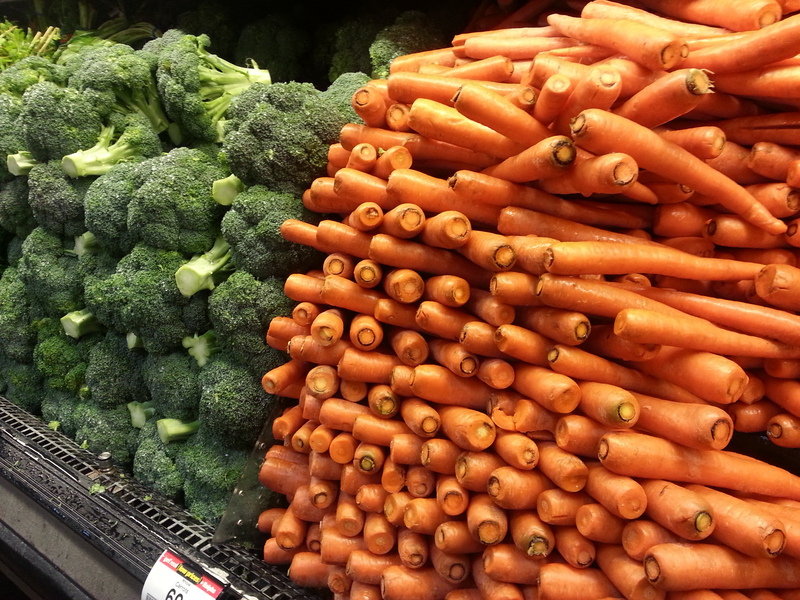 And as I took that photo, I noticed that the broccoli next to the carrots was also so well stacked. And then I noticed the next ones and the next ones…. 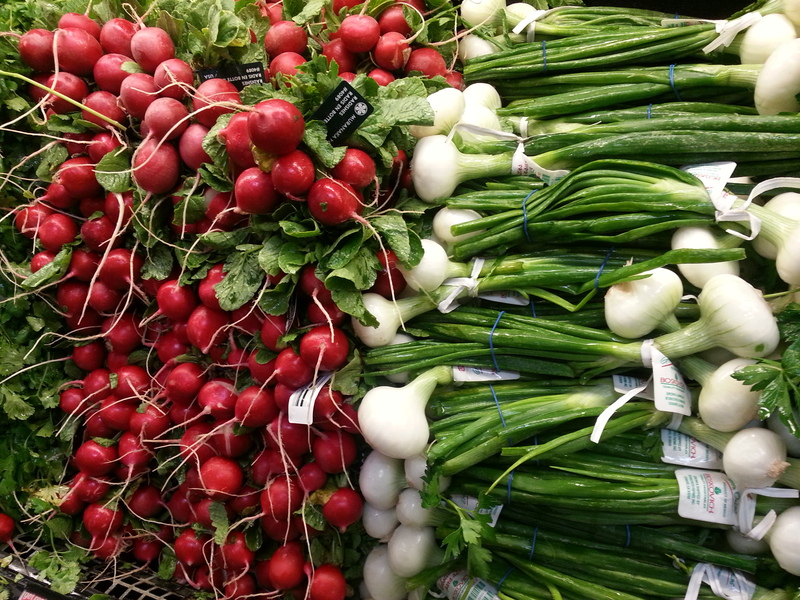 I just had to ask who did these fantastic veggie displays and that’s how I learned about Victor The Produce Artist. 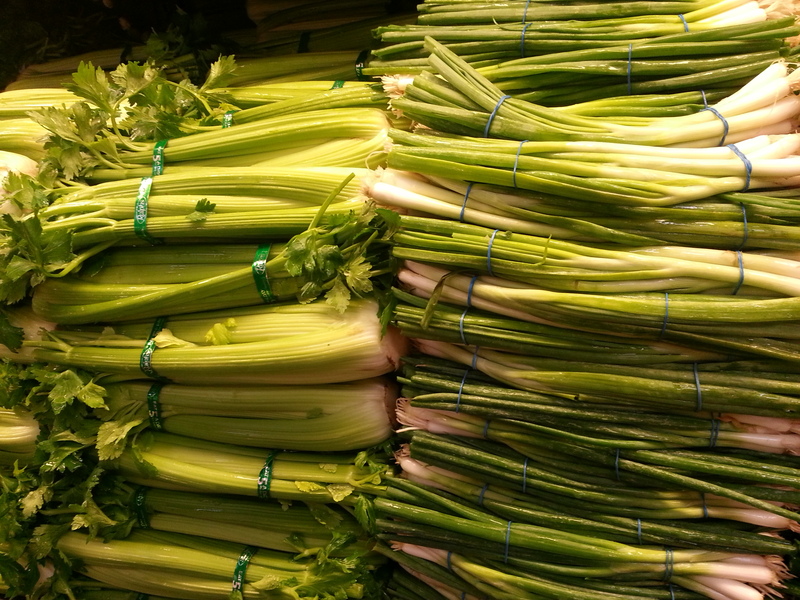 Scallions & Celery by Produce Artist Victor. Everyone I met at that RALPHS was kind, helpful, and seemed to love being there. That’s pretty amazing for a supermarket in Los Angeles.